Still no information on Kristin S. Kasprzak (Libertarian). I have not found a campaign website (or anything else) for this candidate, so no listings on the scorecard. Facebook – Both candidates were basically even over the past month (McDonough adding slightly more new followers). After the BIG jump last month for McDonough he has stabilized with a realistic number over this past month. Twitter – Ruppersberger was the big winner here over the past month adding more than 200 new followers. McDonough actually lost 10 followers over the past month (never a good sign). 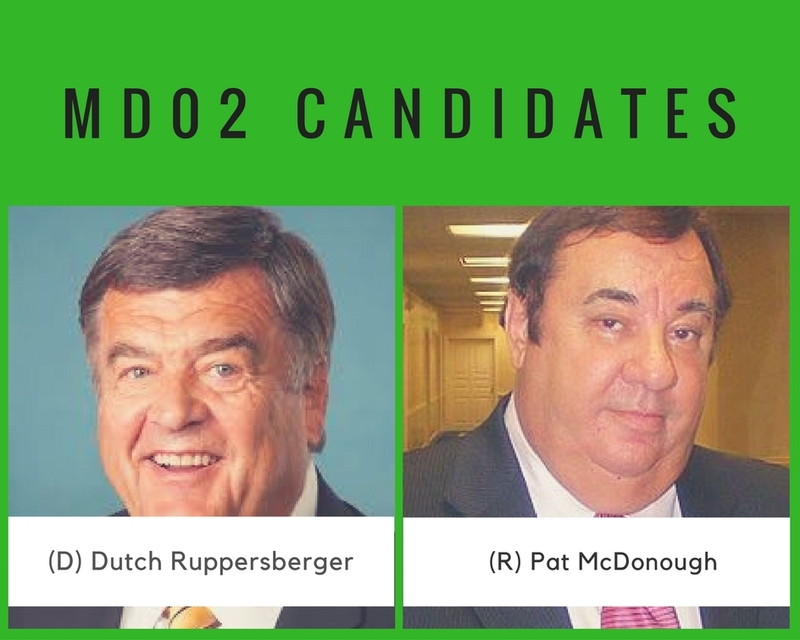 One question – why does Dutch not list his Twitter account on his campaign website? McDonough was the only candidate with any posts over the past week so he wins BIG with recent engagement (likes, comments and shares). Ruppersberger last post was on July 28th. He seriously needs to be more active on this platform. Online outreach leader for August: I am going to give Ruppersberger a slight edge this month. The lack of Facebook posts hurts but not as much as McDonough’s lose of followers on Twitter. To be fair, it is VERY close with online outreach right now and I will keep a close eye on this race between now and November.